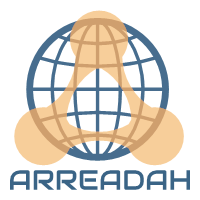 Arreadah was started to fill the void that traditional media publications leave, particularly on the fast-growing social Web. With a blend of personalization and informative story-telling, WeenMony provides a unique voice that entertains, intrigues, and uplifts through a variety of articles in many different categories. It was created to fill society's need for a positive, interesting spin on the world around us. Https://www.arreadah.com reaches more than 700 thousand readers every month.